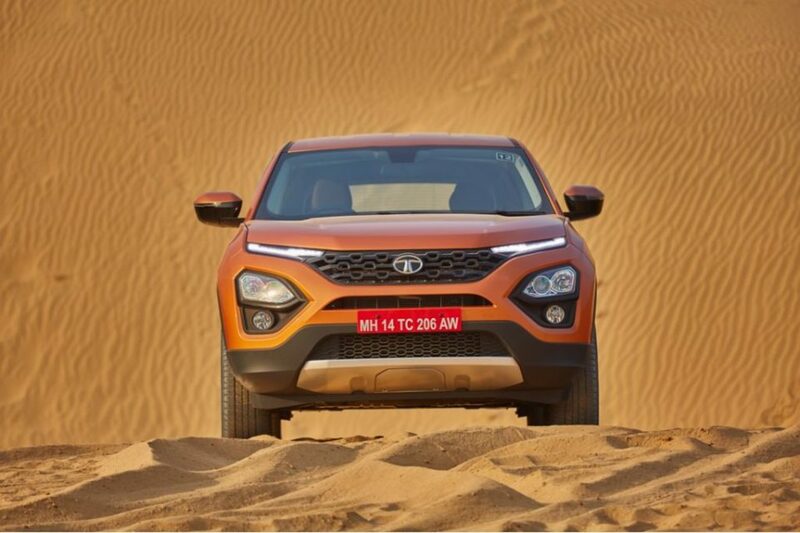 Tata Harrier is an interesting name in the Indian car market. It is the first car based on the Tata’s all-new OMEGA platform and has now become the flagship vehicle. Tata has priced the Harrier quite well and it starts from Rs. 12.69 lakhs and going up to Rs. 16.25 lakhs. Here are five interesting facts that you should know about the Tata Harrier. 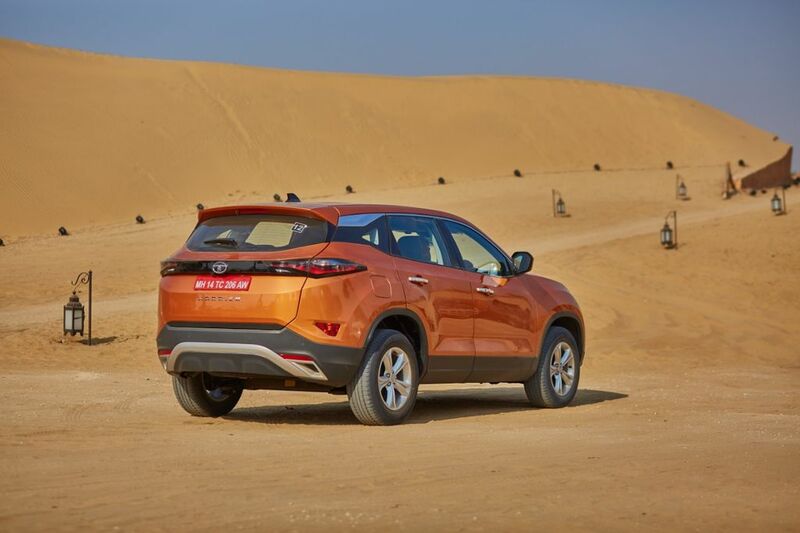 The Tata Harrier is available in four different variants – XE, XM, XT and XZ. The Harrier is available in five exciting colours namely Orcus White, Ariel Silver, Calisto Copper, Telesto Grey and Thermistor Gold. Tata is reserved a few colours exclusively for a few trims in the market. For example, the base XE variant is only available in Orcus White colour. If you want some different colour, you will have to go for the other variants. Similarly, the XM trim is available in all colours except for the flagship Calisto Copper colour, which is the orange coloured vehicle used by Tata for promoting the XE. The top two trims – XT and XZ are available in all the five colours. The exclusive colours in the trims are not unheard of before but only one colour in the base variant is surely unfair for people looking forward to buy the base variant in different colours. 2. No 4X4. But why? As this is an all-new vehicle on a newly developed platform, Tata has derived the all-new Omega Arc platform from the Land Rover’s D8 platform that also underpins the mighty Land Rover Discovery Sport. However, the platform has been altered heavily to bring down its cost and make the Harrier more affordable in the market. The OMEGA ARC platform derived from the D8 platform does not get the 4X4 capability at all, which means it has not been developed to fit the 4X4 drive system in it. Tata has said that developing such a capability on the Harrier would have increased the price of the chassis by quite a bit and it would have affected the overall price of the Harrier. As per Tata’s sales data, only 1% of their vehicle sold is 4X4 and developing the 4X4 capability of the OMEGA ARC would not have been financially viable for the brand. Now how is that possible? Well, instead of developing the 4X4 capability, Tata has developed the Land Rover SUV-famed Terrain Response System for the Harrier. The Front-Wheel-Driven SUV get three different modes that can be set through rotating a dial in the central console. 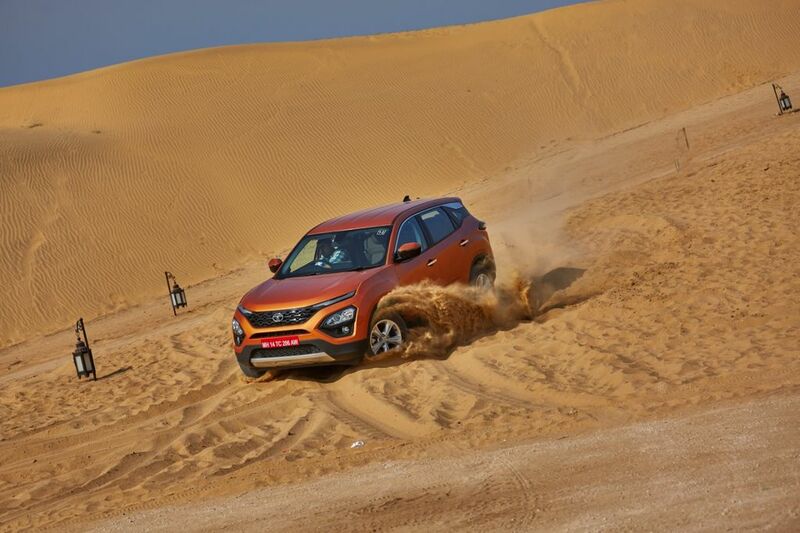 The Harrier gets Normal, Wet and Rough modes that change the vehicle behaves. The Terrain Response System of the Tata Harrier is handled by its segment-leading ESP system. It gets a 14-function Electronic Stability Program that makes the Harrier better than the other FWD SUVs in the market. The ESP gets ABS, EBD, Corner Stability Control, Off-road ABS, Electronic Traction Control, Electric Stability Control, Hill Hold Control, Hill Descent Control, Roll Over Mitigation system, Disc Brake Wiping system, electronic pre-fill, hydraulic brake assist, hydraulic fading compensation and dynamic wheel torque by the brake. The dynamic wheel torque can brake individual wheels to make sure that the power reaches the wheel, which is still maintaining the contact with the ground and not the wheel in the air. Thus, making the Harrier more capable than the rival SUVs with a 2WD system. Just like the Tata Nexon, the Harrier comes with three engine modes – Eco, City and Sports. The modes can be chosen when the vehicle is in motion and it changes the power output of the engine to produce more efficiency or more power depending on the need. The exact power output in different modes is not known but there is a visible difference in the performance of the vehicle. It acts like those re-tuneable diesel tuning box that has different modes on them. It is the only vehicle that can do that in the segment. Tata has been taking bookings for the Harrier since October 2018 and till now there are more than 16,000 bookings have been registered. 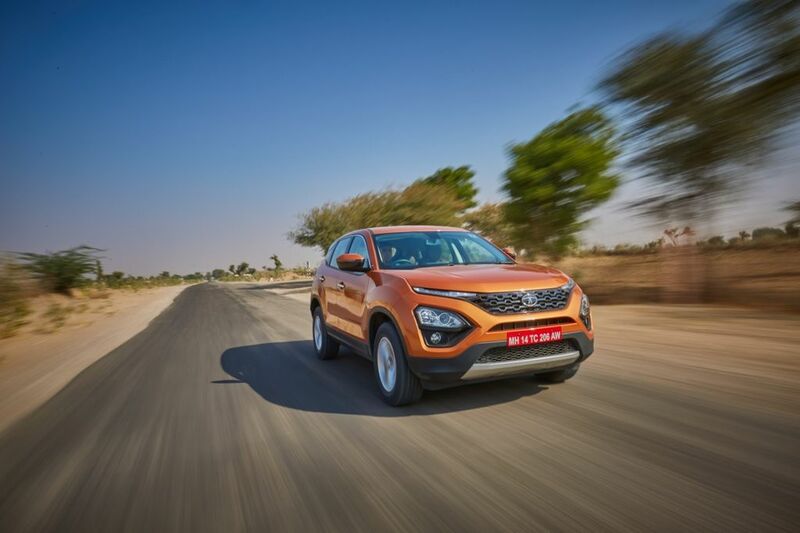 Tata will take up to three months to clear the current backlogs of the bookings, which means customers who book the vehicle today will have to wait at least three months to get the delivery of the Harrier.